Waskey Family Bible Records; Bethany Methodist Church Cemetery Survey; Abraham and Elizabeth Naff Barnhart; Will of Joseph Haynes; Mt. Moriah Church Cemetery Survey; Forest Chapel Cemetery Survey. 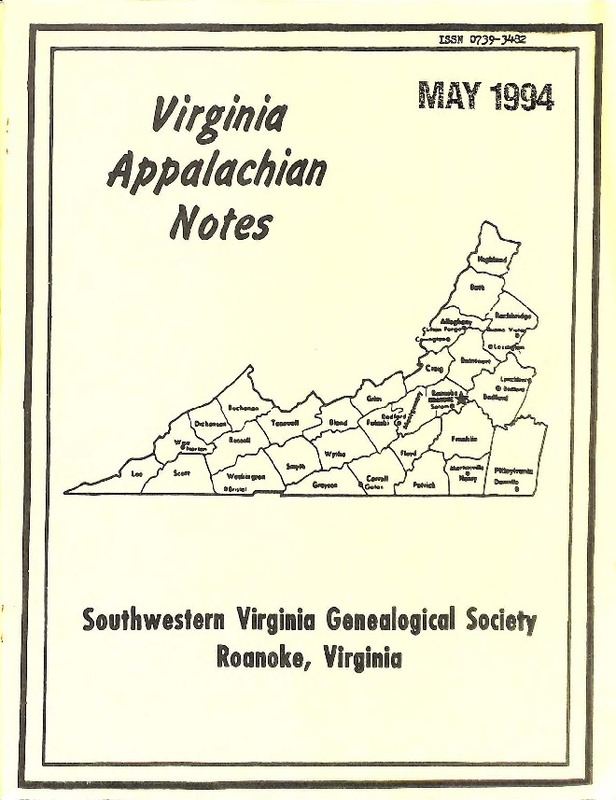 Southwestern Virginia Genealogical Society, “Virginia Appalachian Notes, Volume 18, Number 2,” Virginia Room Digital Collection, accessed April 19, 2019, http://www.virginiaroom.org/digital/document/VANv18n2.